Visual brand development created for the Innovation department within Optum Technologies. We designed a system that could account for all levels updating of their colors and existing equities. From updating of slides, interactive screens, videos, to presentations. The challenge was adhering to the the strong established Optum brand equities while developing new and innovative ways to express their visual brand assets. This took the form of custom icons, usable typographic systems and grids. 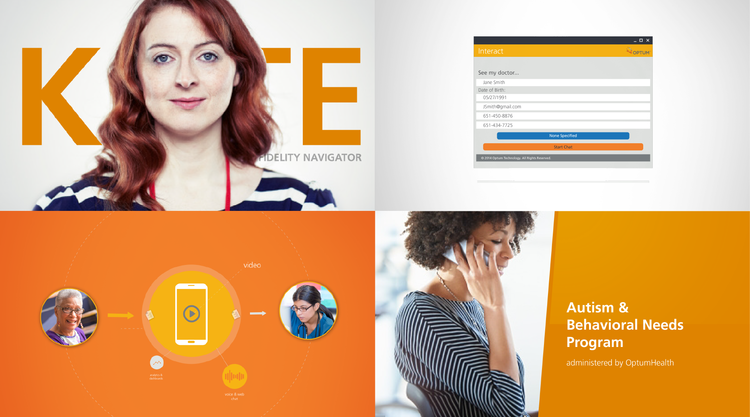 We designed and developed full explainer videos through motion graphics, interactive presentations through Keynote and Powerpoint along with usable design assets that members of the marketing and communications teams could utilize to meet their own needs.